South of Stockholm, in Botkyrka municipality, you find the creative cluster, Subtopia. This is where artists, film producers, circus companies, NGOs, bands and other creative people follow their dreams and try to make the world a little better. Subtopia houses around 80 organizations, companies, and educational institutions, and 200 people come to work here every day. 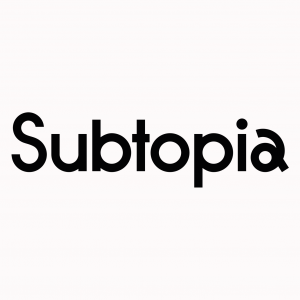 Subtopia is the hub in this network of people and ideas. We serve as a platform where organizations and individuals get the chance to develop their creativity on their own terms. The hard and soft infrastructure here is designed to make new ideas flourish. We facilitate innovation. Subtopia is involved in different projects ranging from circus productions, urban development and film support to commercial events. Our main focus is on contemporary Circus, film production and urban art but the organizations within Subtopia work with a diversity of art forms including music, theatre, dance, public art, mask making and more. Subtopia is the core catalyst in Botkyrka municipality’s commitment to the arts and entertainment industry. Subtopia is a part of the municipally owned company Upplev Botkyrka AB. D.I.T. stands for Do It Together and engage young people with adults, seniors, children, professionals and amateurs in the most diverse cultural expressions. The Do It Together derives its philosophy based on three words when working with the youth: untamed, courageous and empathetic. Untamed – let the ideas roam free and unhindered, the only limitations of the mind is your thoughts. Brave – to stand up for your action and reaction, stand up for yourself. Empathic – we all are one, there isn’t any different race, but the human race. D.I.T. brings people together and their different experiences, knowledge and cultural expressions. By meeting over boundaries i.e. age, artistic, geographical, then new expression can be born and experience. With arts as tools D.I.T. 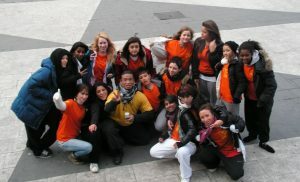 create new relationships and contacts between young people, between adults and youth, between amateurs and professionals. The result is musicals, multi-events, concerts, art and above all pride and self-esteem of young people who created all this. D.I.T. another philosophy of life is to be welcoming to and available for all kids, so we do not bound us religiously or politically. All children and youth are of this earth and should be treated with same love. So what does D.I.T. do… D.I.T. coaches young people to realize their dream, primarily in arts and culture department. It can be smaller or larger projects. From a phone call to hands-on assist with the project/activity and more so. And in giving them hope of being able to control their own path and future. D.I.T. creates opportunities for young people to try out different artistic expressions. The activities can be anything from the various workshops, classes, lectures, dance, theater, parcour, crafts, makeup, painting, set design, sound, light, signing, music, circus shows, drawing, etc.